Hi Dolls! Today has been such a wonderful delight! 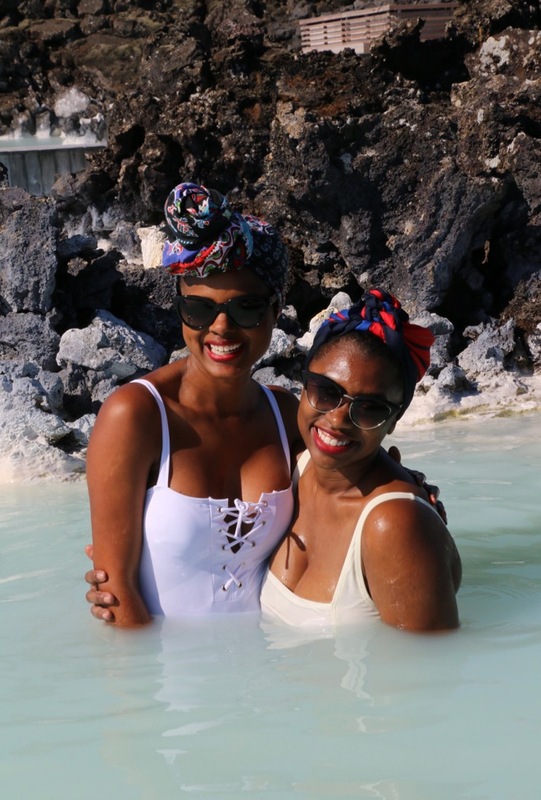 As soon as we landed we headed straight to our first destination, the Blue Lagoon! I've heard tons about the place and it's as amazing as everyone says. 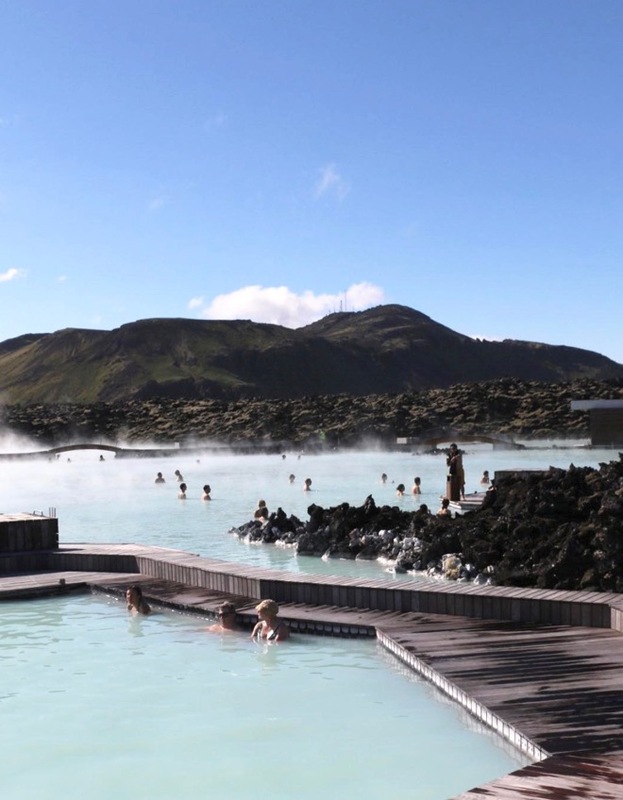 When you first walk onto the establishment all you see is a volcanic rock pathway leading to The Blue Lagoon! We first checked in our luggage and continued down a narrow path to the facility to get our electronic wristbands. I recommend purchasing ahead of time to secure a good time. If you plan on staying to dine I would get the package that comes with a Lava Restaurant reservation and a glass of bubbly! Once me and the girls got suited up we opened the doors and were immediately blown away by the site! Ice blue steamy water spilling into different bridges and paths of volcanic rock. You can't help but feel at peace with the calm and tranquility of the landscape. What I didn't expect to receive was a skin makeover! I learned the water containing many minerals and scillia has many self healing and rejuvenating elements. 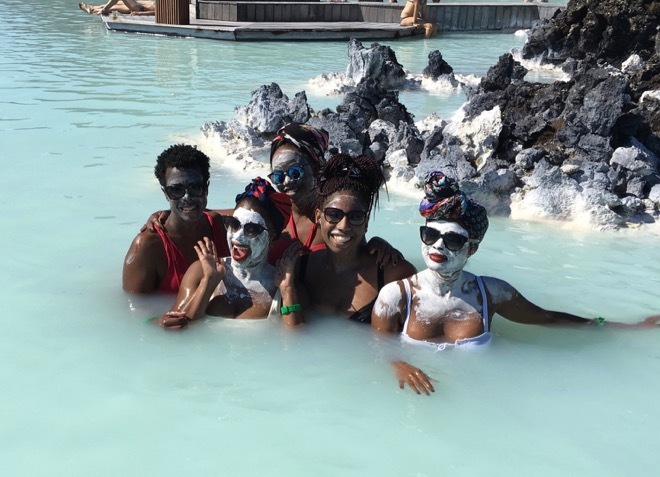 We kicked it up a notch by going to the mud mask station and dousing ourselves of the pure white mud. I kid you not, my face and skin felt soft and clear for at least a week! What's even better, the mask is available for purchase online! 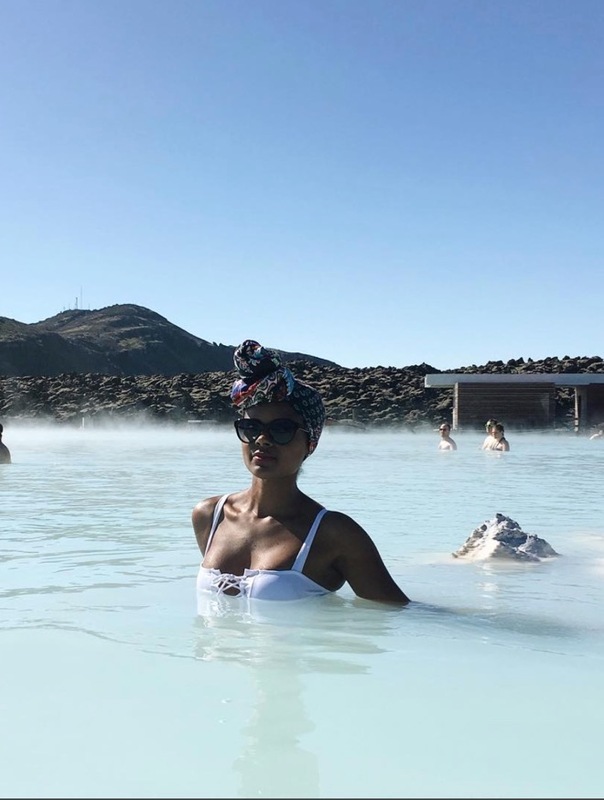 My fiance & I went to Iceland about 3 years ago and it was one of the most magical experiences! We loved the Blue Lagoon! Lookin' fab, love! Enjoy the rest of your trip!